MacRo consistently produces strong results for its commercial real estate clients by leveraging its local and regional network of property owners, buyers and potential tenants. Add this to our leading-edge marketing approach and deep commercial market understanding and you have the recipe for an efficient, profitable sale, purchase or lease agreement. Maximizing the value of your commercial property or commercial real estate portfolio is our top priority. For twenty-five years and counting, we’ve consistently delivered strong returns across a wide range of commercial property types, locations and market conditions. We make sure to understand your objectives and needs because commercial real estate is about property and people, and fully knowing one and not the other is just bad business. Getting maximum value from your commercial property investment always means strong returns. But for MacRo it goes beyond that. Maximizing value means strong returns and building long-lasting, mutually beneficial partnerships that go beyond the merits of any single transaction. 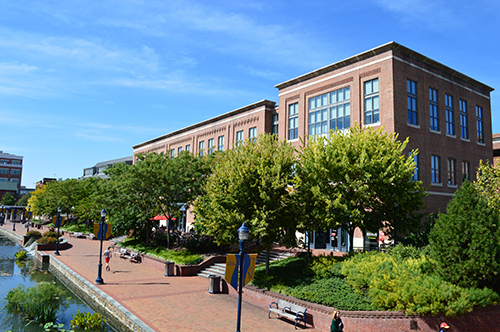 Rocky Mackintosh and Dave Wilkinson specialize in Commercial Real Estate transactions in the Frederick, Maryland area. 2,271 SF to 4,919 SF office suites available for lease at $20/SF full service in this superior concrete and glass office building offering abundant natural light, modern and open design, ample free parking, cafeteria services, and on-site building maintenance – excellent location with quick and easy access to all major commuter arteries. After Inheriting Their Parents' Properties, Two Brothers Turned to MacRo for Help.